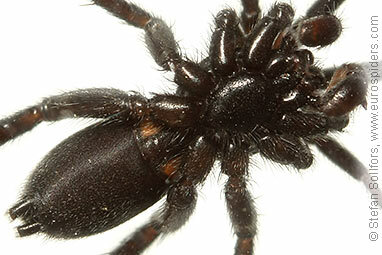 Male Zelotes subterraneus from below. 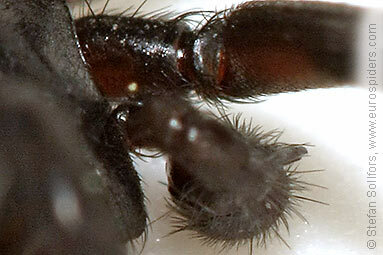 Male Zelotes subterraneus, head and palps and the brown tarsi/metatarsi. Palp from above of a male Zelotes subterraneus. 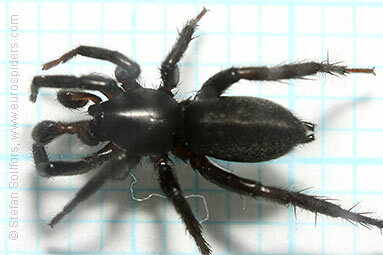 Male Zelotes subterraneus, around 6,5-7 mm. 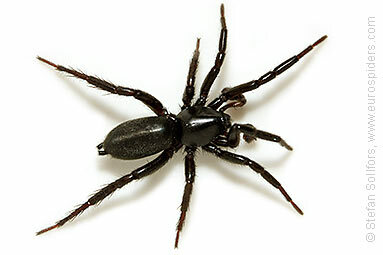 Zelotes subterraneus. 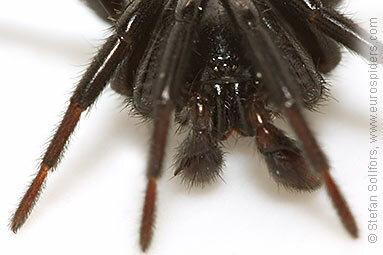 Notice the brown tarsi and metatarsi at the end of the legs.